Smooth and creamy, this smoothie will make “monkeys” everywhere smile. 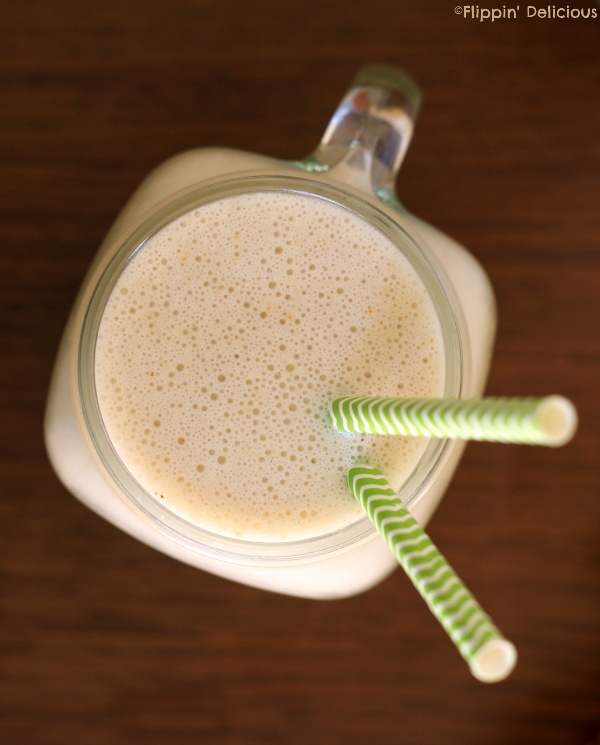 Filled with bananas, peanut butter, and soymilk, not only does it taste good, but it makes you feel GREAT! Can I tell you a secret? At least I hope it was a secret, but I have a hard time eating fruit. It is one of the things that I’ve gotten in trouble with my midwife for. This baby is supposed to pop out in just less than 2 months and so I’m really making extra efforts to eat well, not only for her, but also for myself, my 2 year old daughter, and my husband. One of the ways I like to sneak my fruit in is through smoothies. 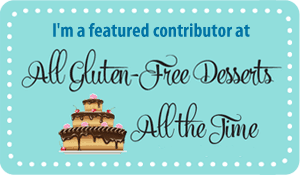 I prefer to make my smoothies with non-dairy milk and Silk Soymilk is one my of favorites. No cholesterol and some good plant protein too! While I was being chastened by my midwife for not eating enough fruit, I brought up smoothies, and she also prefers non-dairy milk, like Silk. Guess what? She was right! I actually just drank a Silk smoothie, and I do feel better after drinking a smoothie made with soymilk, vs a cup of good ‘ol 2%. And not a banana baked into a dessert, but a nice, raw, potassium-filled banana in this Peanut Butter Banana Smoothie. 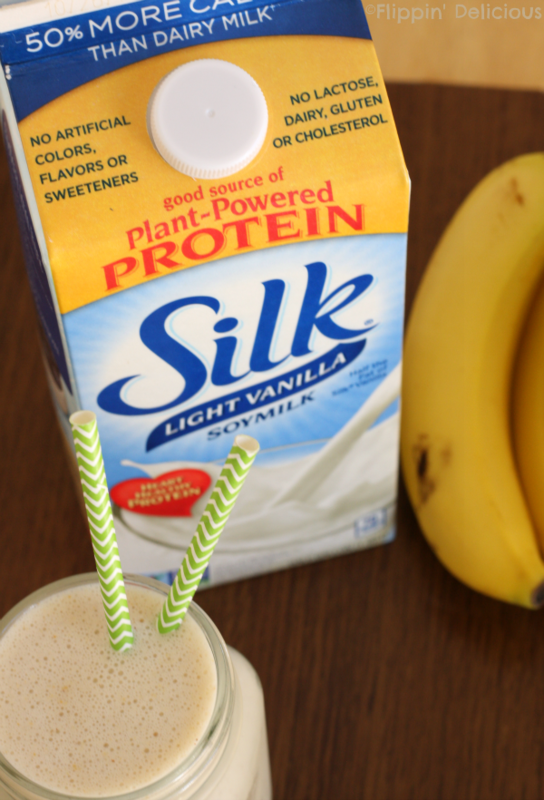 I used Vanilla Silk Soymilk and I LOVED how the vanilla enhanced the banana and peanut butter. It was so smooth and creamy. Want to know my secret for making creamy, icy smoothies? 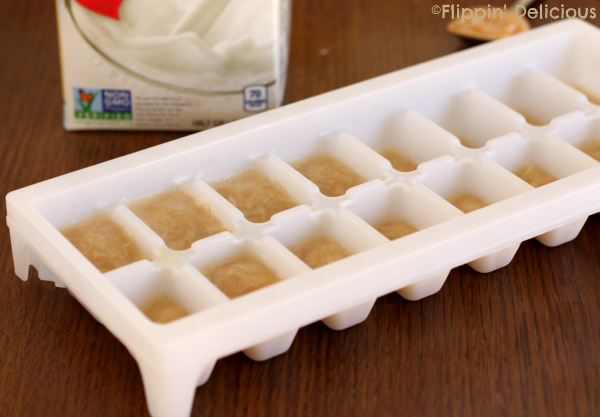 Before you start your smoothie freeze some soymilk in your favorite ice-cube tray (Silk works really well for this, too). When blending your smoothie use your soymilk-cubes instead of water ice-cubes and your smoothie will stay nice and creamy, instead of getting all watered down as the ice-cubes melt. Since I learned this secret I always have a tray of milk cubes in my freezer, for whenever I want to whip up a smoothie. I probably don’t have to tell you, but Silk Soymilk is great for more than just smoothies. I use it on my cereal, for making chia seed pudding, or just for drinking by the glass. It is an important part of my health and wellness. If you are a fan of smoothies, I bet you’ll love smoothie bowls too. I have been eying Eat You Way Clean’s Peaches n’ Kale Smoothie Bowl. What a great way to start the day. Smooth and creamy, this smoothie will make "monkeys" everywhere smile. 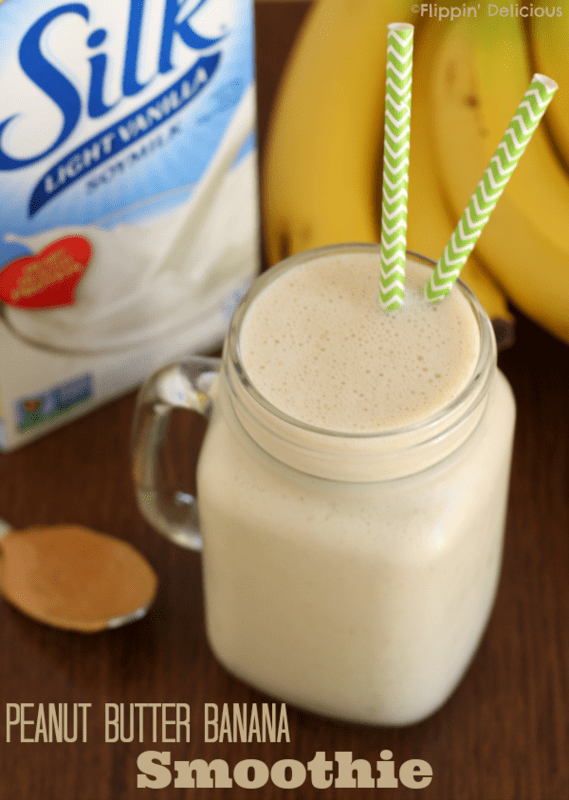 Filled with bananas, peanut butter, and soymilk, not only does it taste good, but it makes you feel GREAT! Place the banana, peanut butter, and remaining 1 cup of soymilk into your blender. Blend until smooth. Add the frozen soymilk-cubes a few at a time, blending until smooth before adding more. Want to learn more about Silk soy products and how they can contribute to your healthy living? Check them out on Facebook, or on their website. 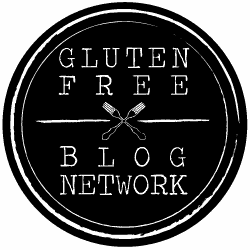 I love the idea of using frozen soymilk! Elvis would have ADORED this smoothie, he probably would have dipped bread into it, lol! Passing this one on to my son!